Lydia, Dean, and Robyn don't know one another...yet. Each is facing difficult challenges: Lydia is still wearing the scars from her traumatic childhood. Wealthy and successful, she leads a lonely and disjointed existence. Dean is a young, unemployed single dad whose life is going nowhere. Robyn is eighteen. Gorgeous, popular, and intelligent, she entered her first year of college confident about her dream to become a pediatrician. Now she's failing her classes. Now she's falling in love for the first time. Lydia, Dean, and Robyn live very different lives, but each of them, independently, has always felt that something was missing. What they don't know is that a letter is about to arrive that will turn their lives upside down. It's a letter containing a secret-one that will bind them together and show them what love and family and friendship really mean. 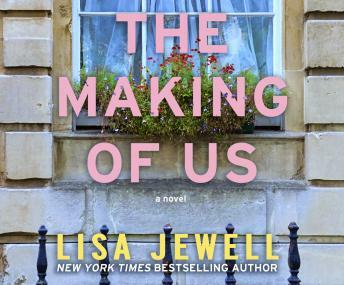 A literary gem, The Making of Us will remind listeners of the miracles that happen when we bring life into the world and share our lives with those we love.